NOW EXTENDED THROUGH APRIL 26, 2019! ​The 2019 Hawai‘i Agriculture Conference (AG2019) will be held October 15-16, 2019. 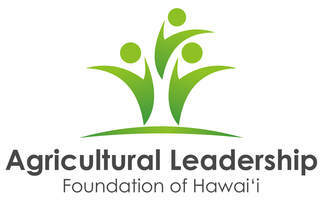 Hosted by the Agriculture Leadership Foundation of Hawai‘i (ALFH), this event is Hawai‘i’s premiere, all-sector agriculture conference. Hear from Hawaii’s next generation of potential farmers, ranchers, and growers. Successful proposals will demonstrate proven or potential opportunities for AGdaptation in management practices, cultivation, conservation, innovation, technology, system design, collaboration, community engagement, or economic sustainability. Show us what successful AGdaptation looks like or could look like. Show us how AGdaptation is currently being achieved or can be achieved. Proposals that connect multiple elements of Hawaii’s agriculture value chain in efficient, effective and innovative ways will rank highly. Proposal Acceptance Date: June 1, 2019. Authors will be notified of acceptance by this deadline. Revisions Deadline: June 28, 2019. Authors must complete request for proposal revisions by this deadline in order to be accepted in the Conference. Accepted proposals will be included in the Conference Program Book in the format received---please be sure to double check your work. Deadline for Presenters to Register: July 31, 2019. Paid registration is required for all presenters. Oral and Poster Presentations: Formal individual presentations on various topics will be scheduled in general sessions depending on thematic content. The abstract submission form requires the selection of preferred presentation format and whether you are submitting your abstract as an individual or part of an organized symposium. The review committee may suggest changes to your proposal or its format depending on relationship to theme, available time in the program, and whether or not the content has been previously presented. All presenters must register by July 31, 2019. Oral presentation: A 15-minute individual presentation (includes 15-minute talk, 3 minutes of Q&A, and 2 minutes for transition time - exact timing may vary based on assigned session). Paid registration is required for all presenters. Poster presentation: A visual presentation that showcases your work. More than one participant may author a poster, but at least one of the primary authors must be a paid, registered participant. Symposium: A formal moderated session with 3-6 oral presenters organized around a topic or theme; individual presentation time is limited to 15 minutes; moderator introduces presenters and conducts Q&A at end of session. Time limit: 1-2 hours per session. Abstracts for each presenter are required and due April 12, 2019, along with a complete session agenda. All presenters and moderators must be paid, registered participants. Forum: A less formal, more interactive session, a forum can be a panel, a roundtable session, or another structured format involving a variety of innovative facilitation methods. The moderator or facilitator guides presenters and the audience through a variety of participatory techniques. Time limit: 1-2 hours per session, with a minimum of 20-30 minutes of true audience participation (more than a question and answer session). The proposal must detail how the audience will be engaged. Creativity is encouraged. Abstracts for each presenter are not required unless requested by the forum organizer. All presenters, facilitators and/or moderators must be paid, registered participants. Workshop: Organizations and practitioners may submit proposals to conduct workshops the day prior to the conference. AG2019 organizers can contribute mi­­nimal logistical support. The workshop host is responsible for organizing and supporting all aspects of the training or workshop. Please contact us for more information on costs, convention center requirements, etc.